Matriculation means you have been accepted and have commenced studies leading to a specific certificate or diploma or degree, and that you are responsible for all applicable tuition and fees. These are made known to each applicant before loan agreements are signed. No student will be awarded a diploma unless all financial and academic requirements have been satisfied and that includes any late fees or other charges. Tuition payments are made on or before the 5th of each month until the loan has been retired. There is no interest charged so long as the student maintains a good payment history, and all payments are rounded to the closest dollar. Eligible applicants may be entitled to financial assistance that may vary depending upon the individual and the circumstances. 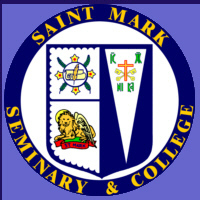 The following scholarship was established on January 10, 1995: The Archimandrite Mark W Gielow Memorial Scholarship Fund awards eligible degree process students $500.00 to $1,000.00 towards their tuition depending upon the individual, the income, and the need. This does not apply to licentiate degree programs. All foreign students must make payments of any kind in United States Dollars (USD). Textbooks are not included in tuition unless stated otherwise. Textbooks are invoiced and must be paid prior to their shipping. Fees are non-refundable. Unofficial withdrawal from a program does not forgive the financial obligation of a student. No refunds after thirty (30) days. Refunds Applicable to Tuition and Not Down Payment. Treasury Regulation. 1.162.5 Expenses for Education. General Rule. Expenditures by an individual for education, including research undertaken as part of his/her educational program (with certain exceptions) are deductible as ordinary and necessary business expenses, (even though education may lead to a degree). If the education maintains or improves skills required by the individual in his/her employment or other trade or business; and/or meets the express requirements of the individual's employer, or the requirements of applicable law or regulations imposed as a condition to the retention by the individual of an established employment relationship, status, or rate of compensation, then requirements are met. Travel and lodging expenses are also deductible. Contact the Internal Revenue Service or College Administration for additional information.